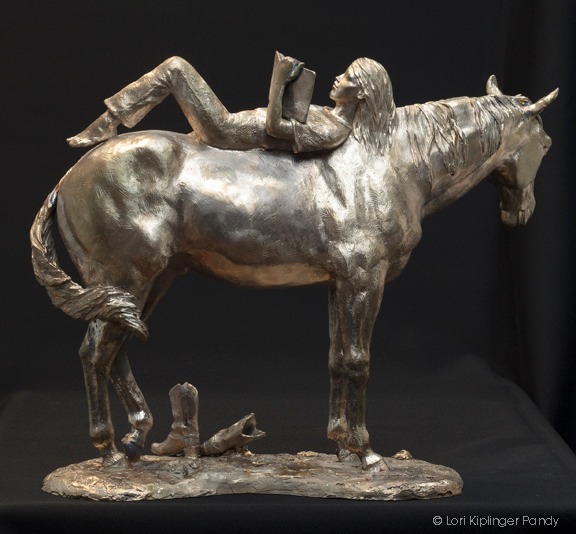 The raw bronze casting of the girl reading her book on horseback is back from the foundry and ready for patina this week. As you can see, the raw bronze is shiny and very gold in appearance and would develop a dark, rich patina over time in a physical reaction to the atmosphere. Patinas today are a complicated process involving chemicals, heat, wax and lacquers and can come in a myriad of colors and hues. 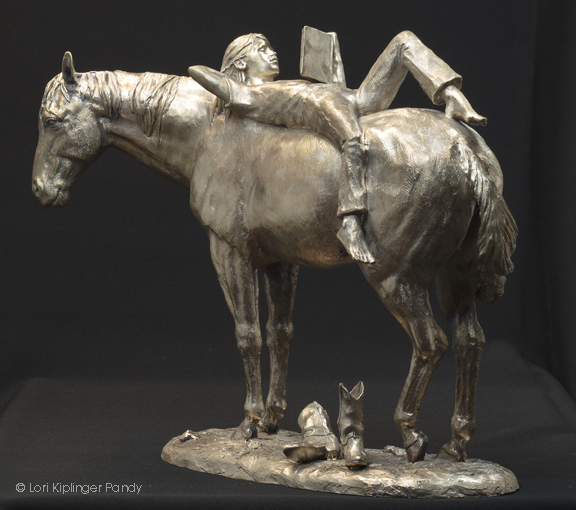 I am in the process of scaling up this sculpture to life-size (5' at the withers) and will be starting the large piece this fall with a projected release date of later winter of 2016 or early spring of 2017. 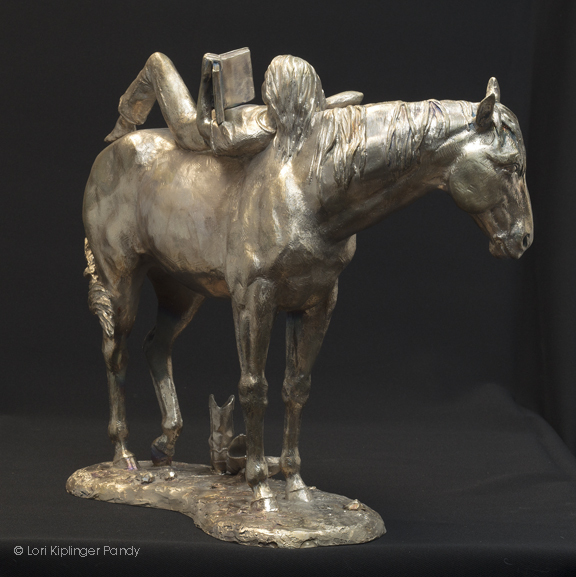 Please contact me if you would like to receive notifications of the progress of the large sculpture. My patina artist will be able to create a custom patina on this sculpture, enabling the coloring to be adapted to a paint horse, appaloosa, bay, palomino, flea-bitten or more. Her boots could also be colored differently. 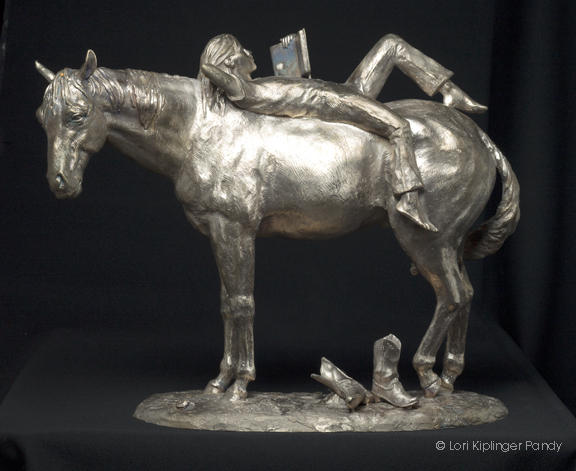 This equestrian piece would be perfect for display at libraries.